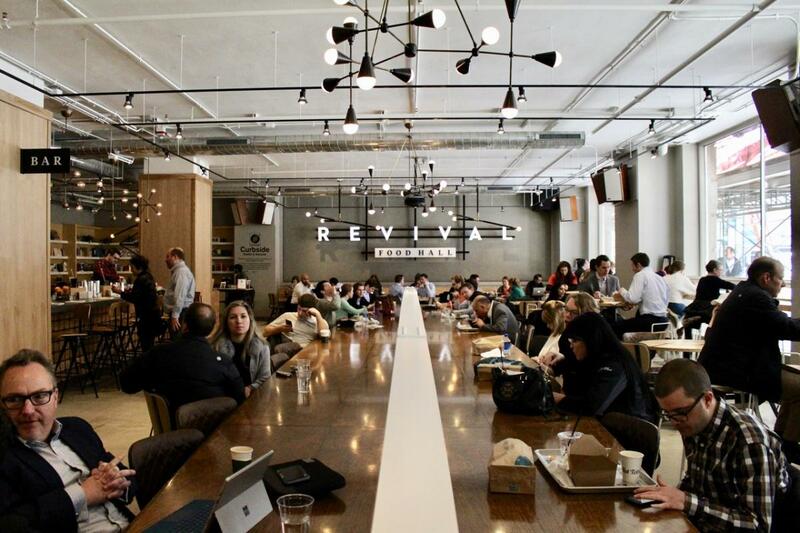 Operated by Chicago hospitality collective 16″ On Center, Revival Food Hall is an all-local dining concept spotlighting the best of Chicago’s acclaimed culinary scene under one roof. The massive, 24,000 square foot marketplace is located in the heart of Chicago’s central business district, on the ground floor of The National – a restoration of a historic 1907 Daniel Burnham-designed 20-story building. This cornerstone of The Loop neighborhood opened in 2016, and boasts 15 fast-casual stalls featuring many of Chicago’s favorite neighborhood restaurants in a grab-and-go setting, plus a handful of all-new concepts debuting from several acclaimed Chicago chefs.